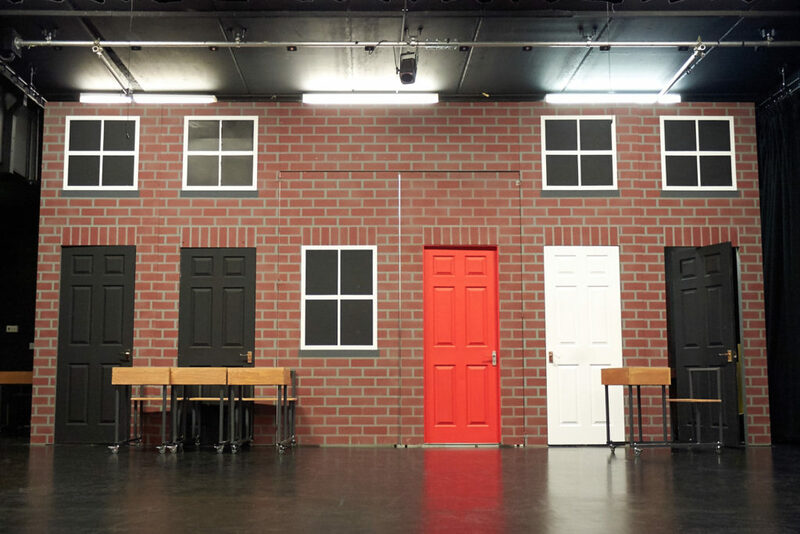 Our new ‘Our House’ set it is simple to put up for small to medium venues and particularly tailored to schools and colleges. 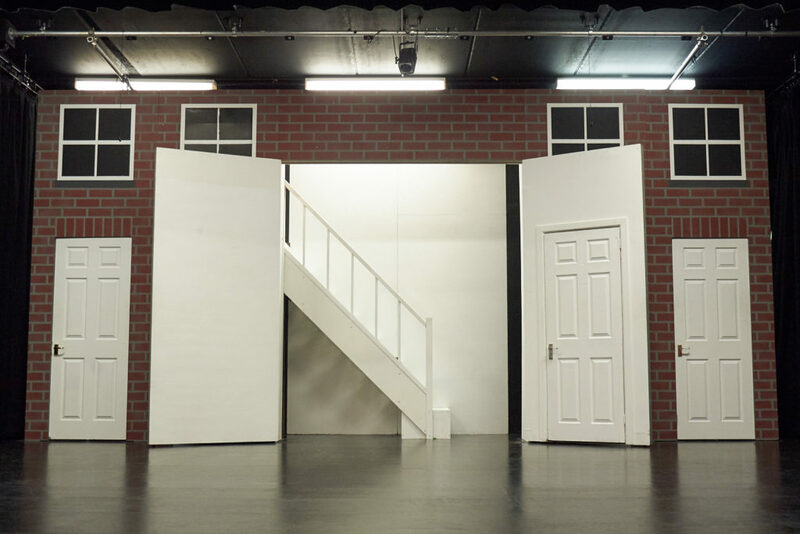 One of the key parts of the set are the revolving doors that easily rotate from black to white. 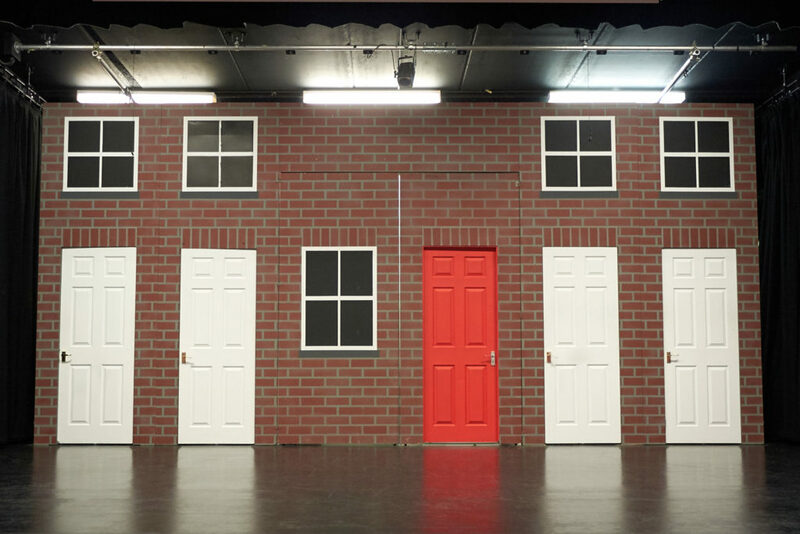 The centre of the set opens up to form the inside of the house and other key locations which can be achieved to great effect with projection. 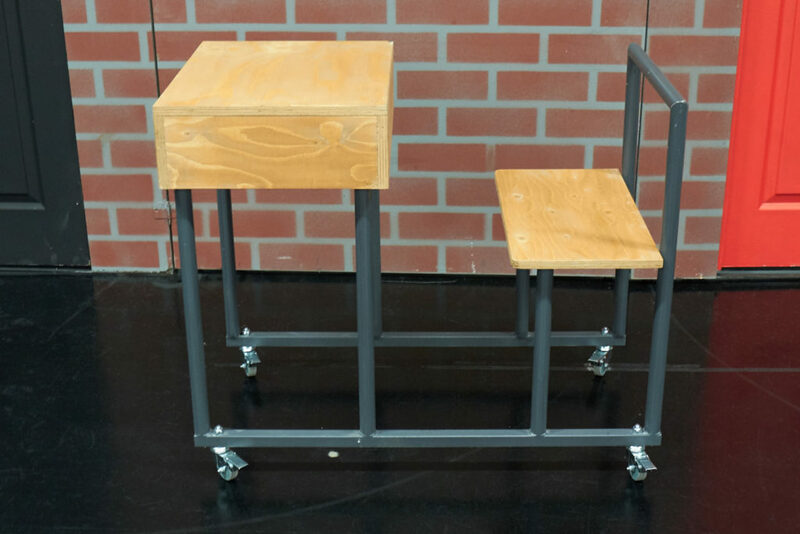 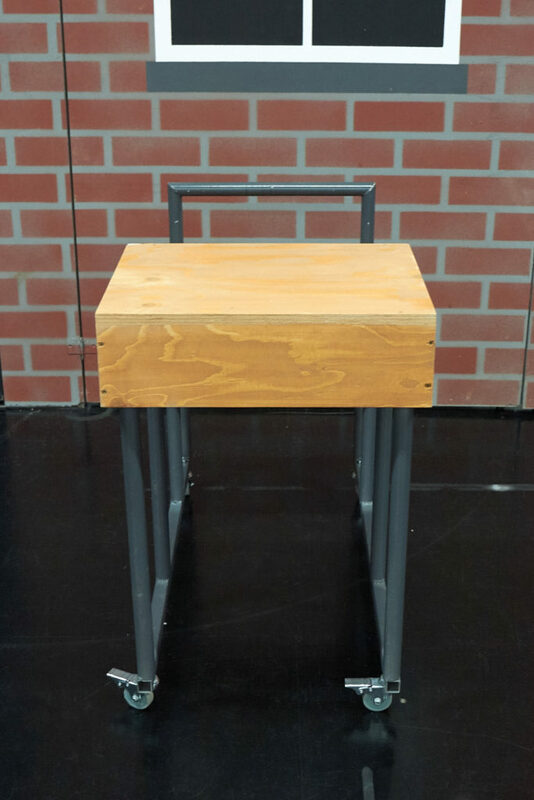 This set includes nine desks on casters perfect for some dynamic choreography. 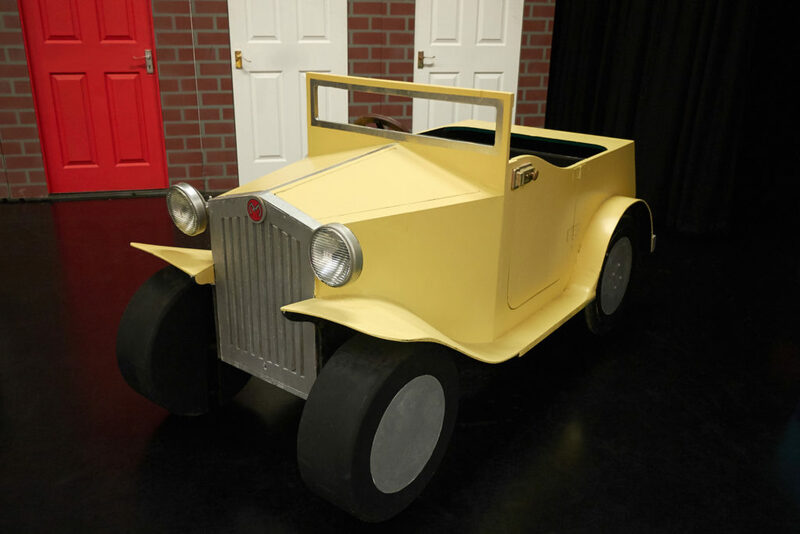 Also included is a scaled down Morris type car for the iconic number ‘Driving in My Car’. 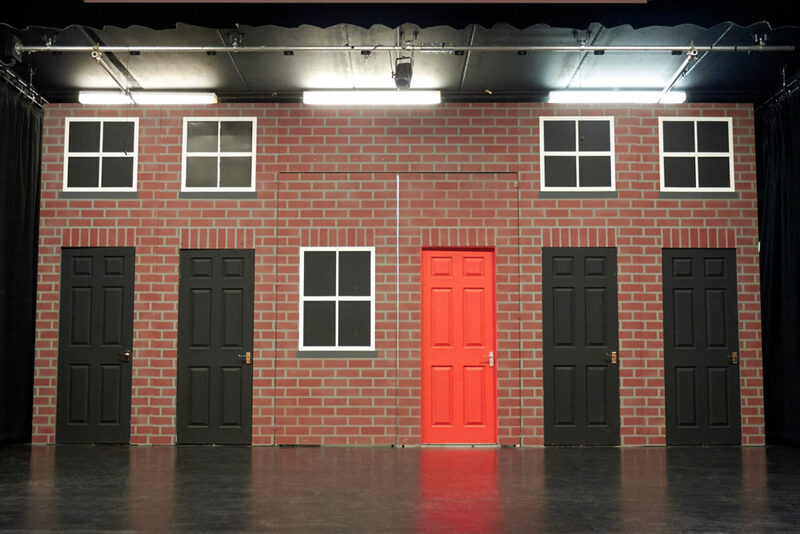 Please get in touch for more details and plans.